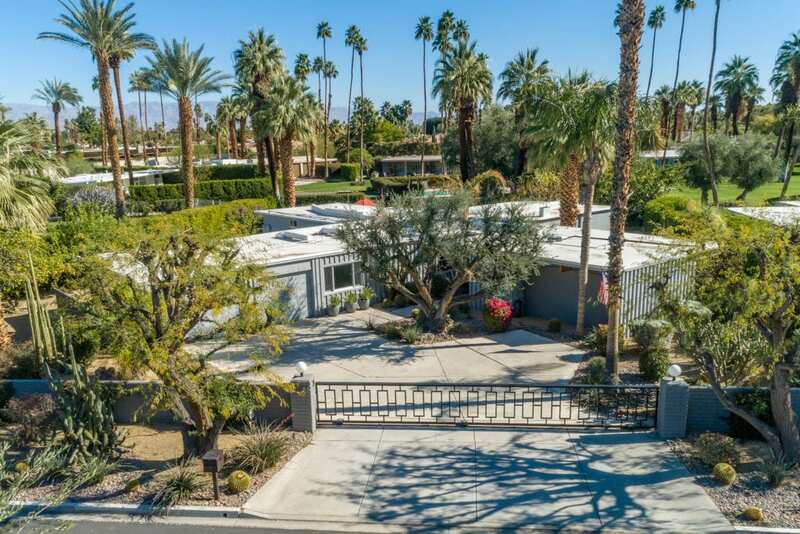 “X” marks the spot with this 1956 architectural home located at Thunderbird North in Rancho Mirage. 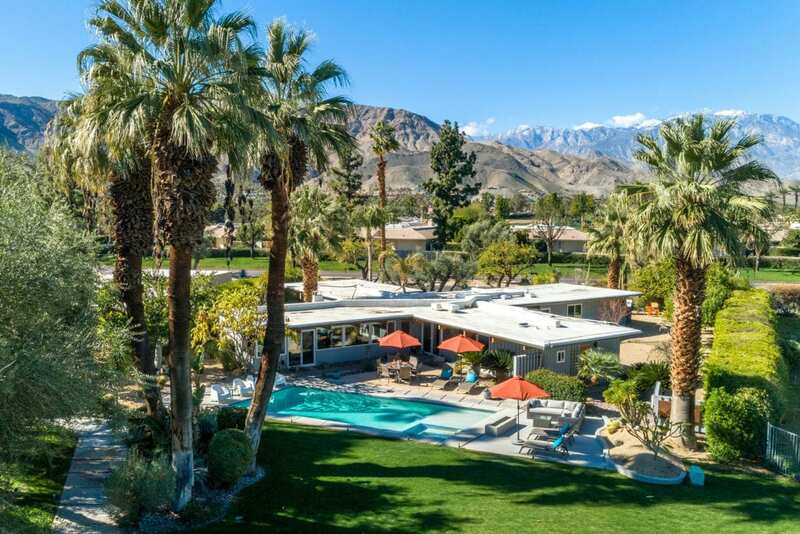 The “X” is similar to the layout of the property when seen from the aerial views and purported to be a Wexler at the Thunderbird North enclave of 10 homes on 7 acres of land. Post and beam construction, tongue and groove ceilings and extensive use of clerestory windows perpetuate the Wexler theory. Polished and scored concrete floors and multiple vignettes for gathering make the true sense of indoor/outdoor living a reality. The expanded living area features the original copper clad and slump stone fireplace as the the center of the living space. 2016 saw the addition of the pool/spa also with firepit and another added last year. Master bedroom and updated master bath plus two additional guest suites with some restored mid century charm add to this gem. The galley style kitchen was opened up with breakfast bar and intimate dining area. Truly a must see for architectural aficionados.